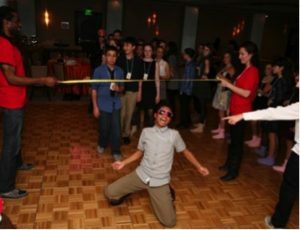 Let’s face it, event planning can be stressful, especially when you’re planning your first bar or bat mitzvah. We are here to help steer you in the right direction. Focus on these four key points and you’ll be sure to have folks raving about your party for ages. This is one of the first questions that you should ask yourself before planning your event (after the budget of course). What do you want your event to look like? You can go for a more traditional feel or you can choose to rewrite tradition. *sings* It’s your party, you can be traditional or unconventional if you want to. What foods will be on your menu? The food can have a lasting impression on guests whether it’s good or bad. Make sure to choose a caterer that you know will deliver and you’ll hear the praises from partygoers. Who should be the DJ? The right tunes can set the right mood. Find a DJ that can cater to all of your guests, that way everyone will have a good time! Now, it’s your day and all eyes will be on you. So, make them shimmer. Start hitting up those malls and online stores. Your perfect outfit is out there! Here at Entertainment Specialists we can help you with all your bar/bat mitzvah entertainment needs. We provide lighting, music, entertainers, and more. Let’s get this party started!